We have some great competitions and giveaways below (all 100% vegan of course!). Some run throughout the year, others are just for a short time - so keep your eyes peeled! Also, why not get your creative juices flowing and enter one of our fabulous artistic competitions? Write a poem, make a poster or design a sticker. VIVA! VEGANISTA IS A NEW COMPETITION FOR PEOPLE LIVING IN THE UK WHO ARE INSPIRED BY VEGAN COOKING AND WHO WANT TO BE RECOGNISED FOR THEIR TALENT. Enter today! Post a photo of your vegan meal on Facebook, Twitter or Instagram using the hashtag #VivaVeganista. Here, you can find out everything you want to know about becoming a Viva! Veganista, see former entries, weekly and monthly winners and discover lots of inspiration to help shape and make vegan meals. ​From food on-the-go, or a three-course dinner party, we want to see the best vegan cooking from 18’s and over. You don’t have to be vegan or vegetarian to enter – all that is needed is for you to make a vegan meal, dish or snack and take either a picture or a film of it before simply posting it on Facebook, Twitter or Instagram using the hashtag #VivaVeganista. Central to the success of the entry is a brief explanation of what the dish is and why you made it: perhaps it was a snack to have on the tube on your way in to work; a Sunday lunch for housemates and family; or a bowl of comforting nosh for days when you feel less than perky. A judging panel will decide on a weekly winner and all will then go into a shortlist for an overall monthly prize – these final 12 winners will then be our finalists with an overall ‘Viva! Veganista’ being named later in 2017. 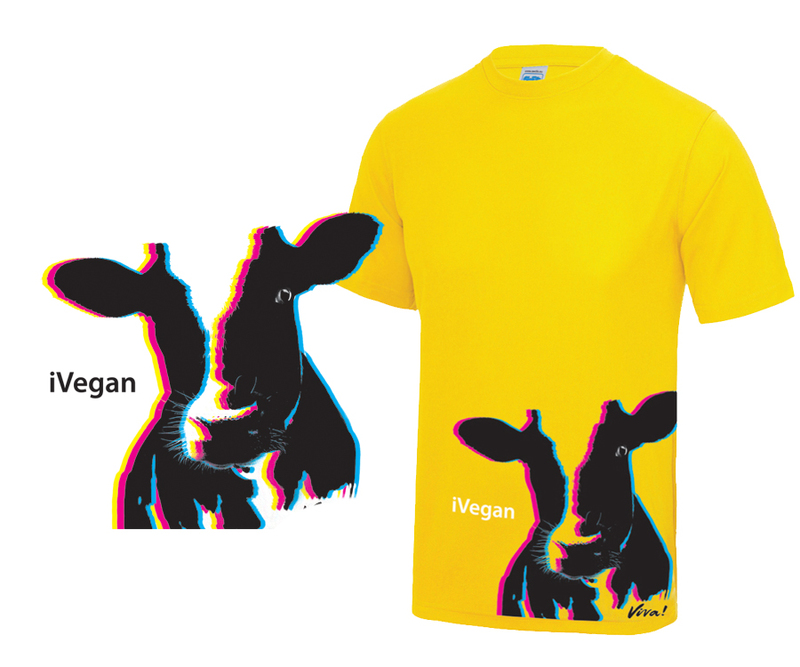 Please keep a look out for meals and entries and help spread the #VivaVeganista love! EVERY MONTH WE'RE GIVING YOU THE CHANCE TO WIN A LOVELY VIVA! TEE FROM OUR 2015/16 ETHICAL COLLECTION. We're a little bit proud of the hundred's of tee designs we've created over the years and we'd love you - our awesome supporters - to share them with the world. So go on, flaunt your kindness and sport a #compassionatees! 2. Share a photo of yourself or a friend wearing a Viva! tee (any year, design or style!). We will select the winning photo submission at random. So get your selfie sticks out to save the animals! At the end of every calendar month, we will select one winning photo at random. Viva! will select the t-shirt design to be won, but winners can select a size. All entrants must follow the criteria as stated in the competition details above. Entrants are limited to submitting one photo per month (unless a group photo!). Submitted photos should not contain inappropriate or adult content. 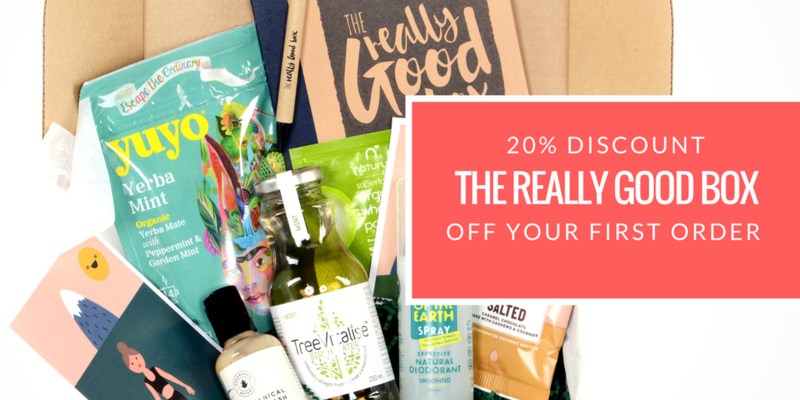 The Really Good Box aim to shine a light on Really Good products and brands so you can pick the responsible alternatives to the every day products and shops you currently use. Sometimes it can be hard to find Good quality stuff that also ticks all the ethical boxes. So TRGB contact all their sources of goodies to find out about them and what they do to make a difference. Each box you receive is packaged in 100% recycled (and recyclable) cardboard sourced locally to The Really Good Box HQ. A portion of the cost of packaging is donated to Depaul UK, a charity whose mission is to end homelessness and change the lives of those affected by it. Use code 'VIVA20' for 20% off your first order. See TRGB website for details.